Place a long plank on a tarp. 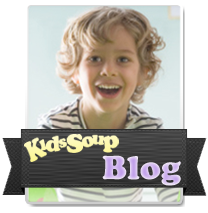 Provide paint and paintbrushes. 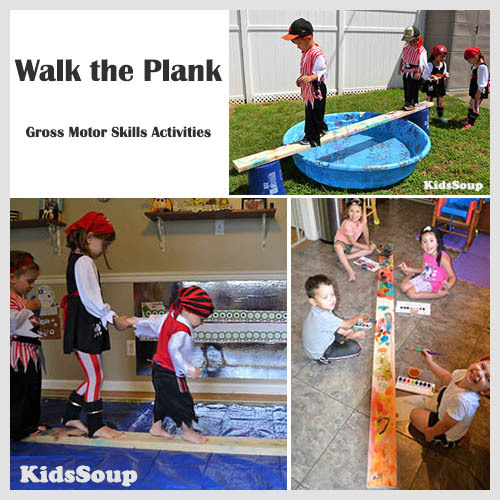 Discuss with children what a plank is. 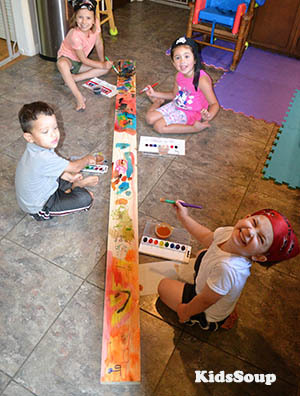 A plank is a long piece a long, thin, flat piece of wood. Explain that pirates sometimes had to walk the plank--sometimes with covered eyes. 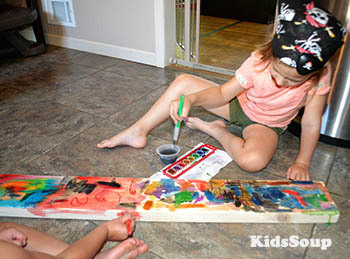 Have children paint the plank and let it dry. Add water to a kiddie pool. 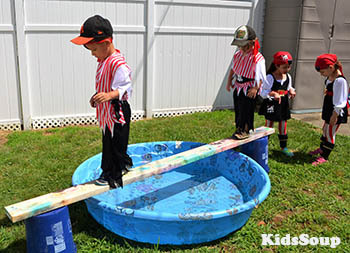 Place the plank on top of two buckets over the pool. 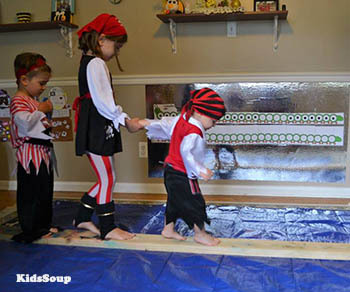 Let children walk over the plank.